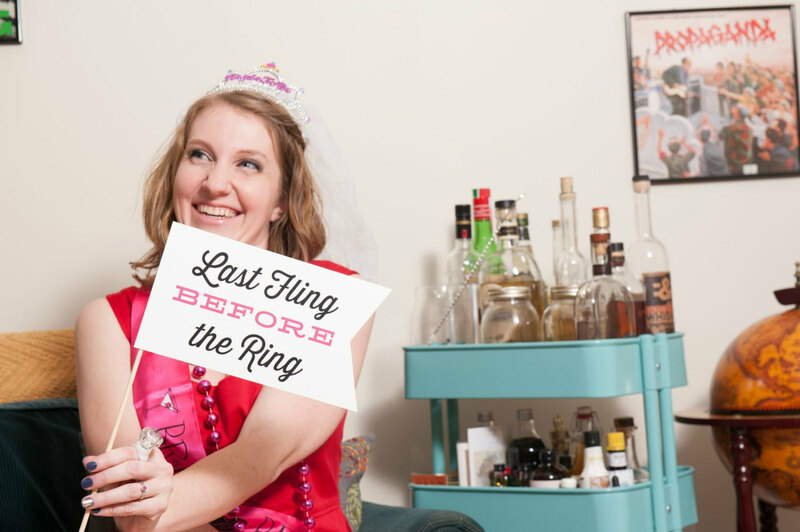 Are you wondering how to plan an amazing bachelorette party but you have no idea where to start? Let us help! 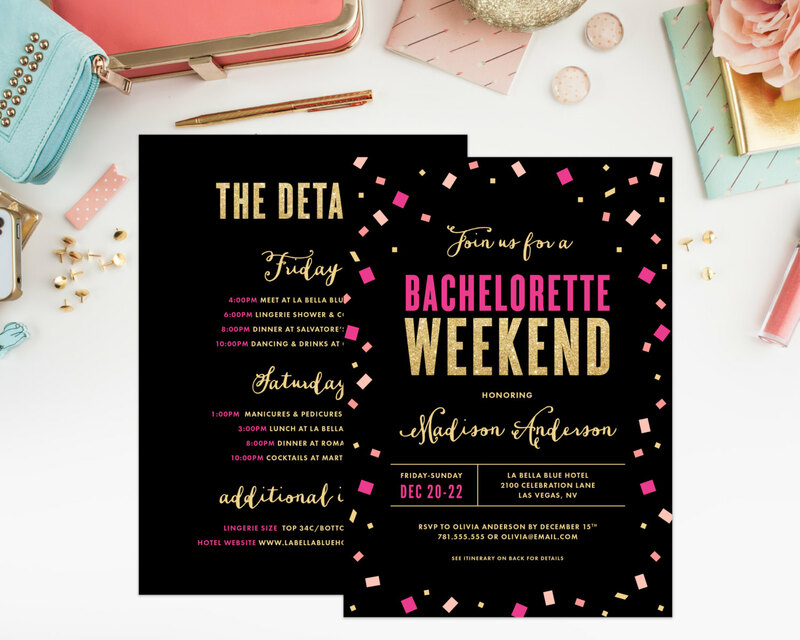 Today we’re sharing some amazing ideas for a hot pink and black bachelorette party the bride will absolutely love. There are just a few quick pointers to get you started and then it’s on to the inspiration! Ready to begin? Let’s go! 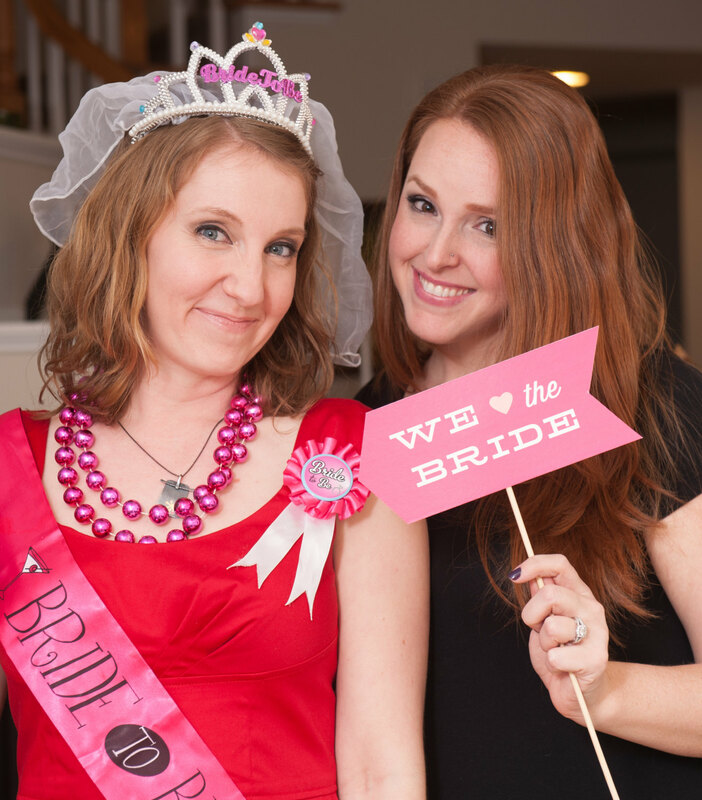 The first step to plan a bachelorette party is to find out what kind of party she wants. 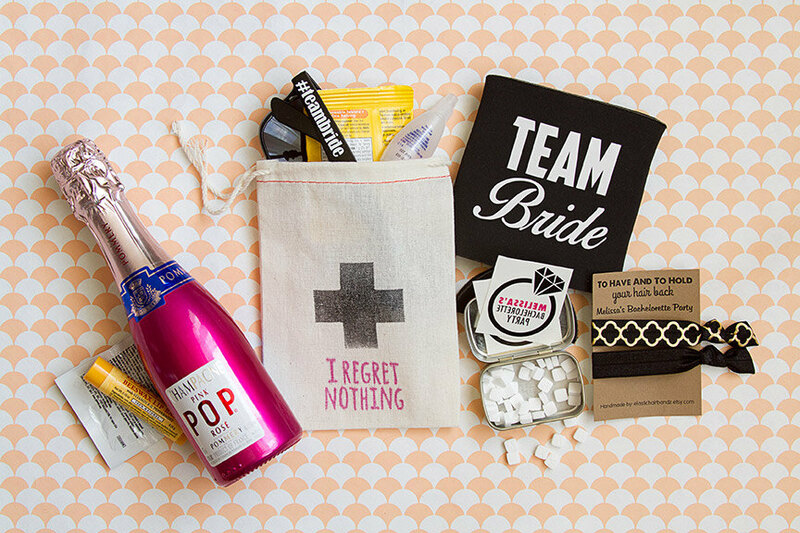 This is the bride’s party — not yours! — so it should reflect what she wants to do. 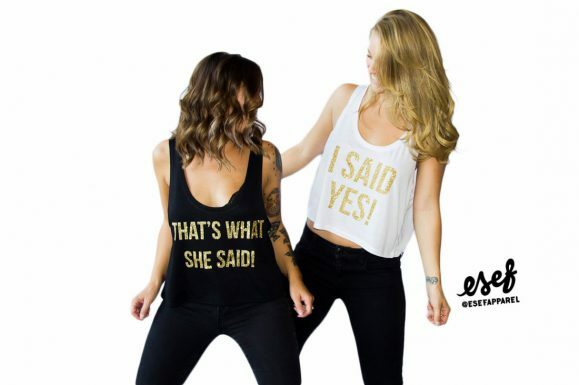 The most popular bachelorette parties include bar hopping, wine tasting, Vegas, dancing at a club, or having a spa party at a local salon or at someone’s home. 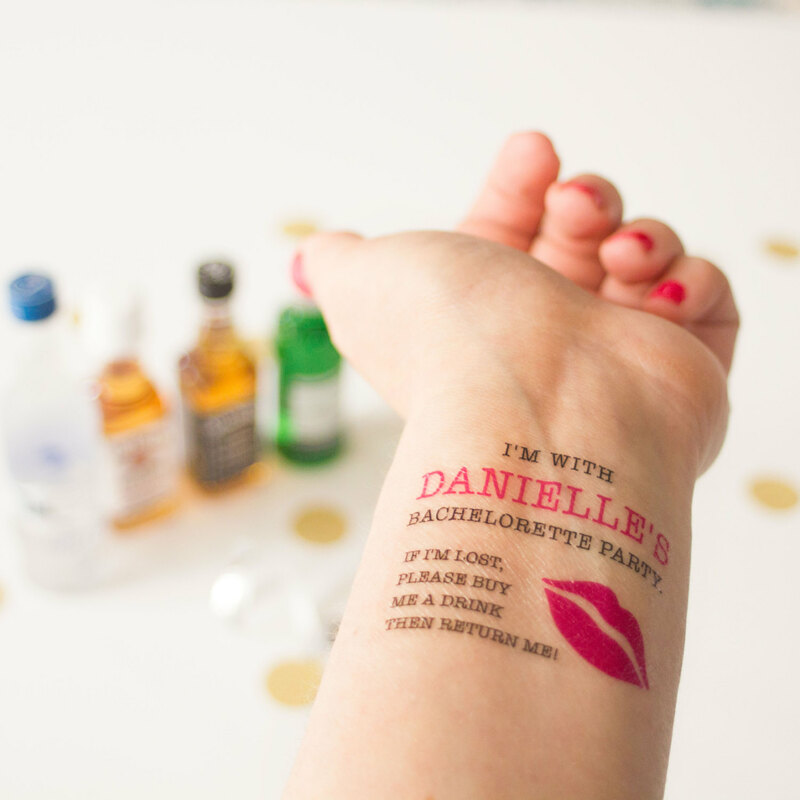 (But that’s not all — check out our HUGE list of 50+ bachelorette party ideas and alternatives for help!) 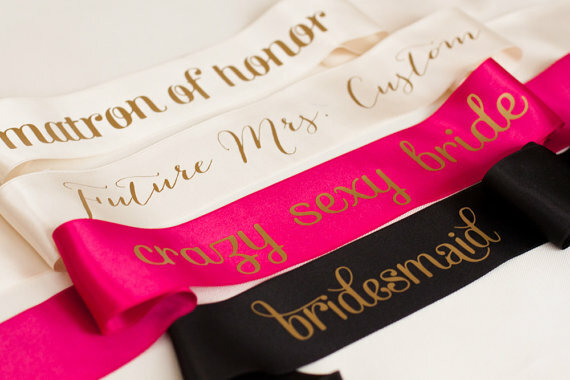 Once you decide what kind of party she wants and the venue, it’s time to compile a guest list — work with the bride on a list that includes everyone she wants to party with. Last but not least, pick an invitation and mail it out a few weeks before the big day! See? It’s not so intimidating when you know where to start! 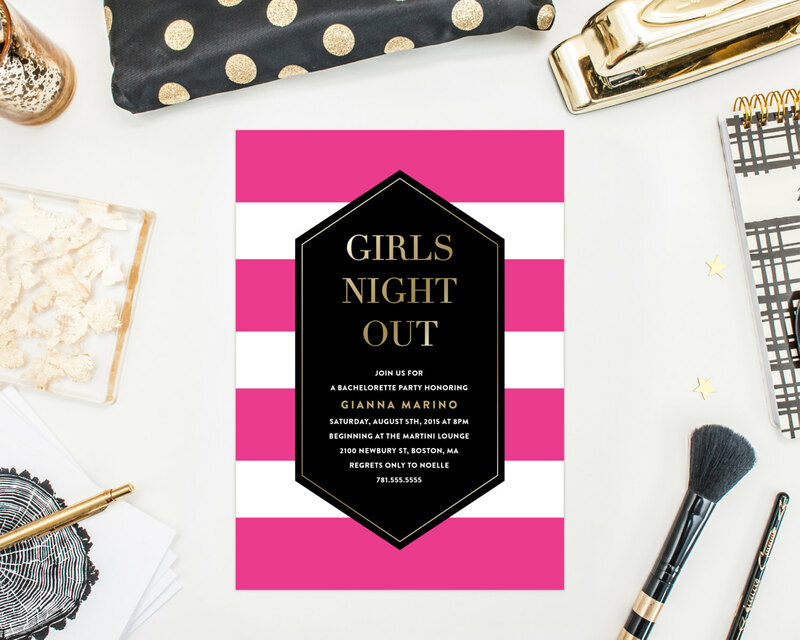 Now that you know how to plan it, let’s get down to business with some fun & festive party inspiration! 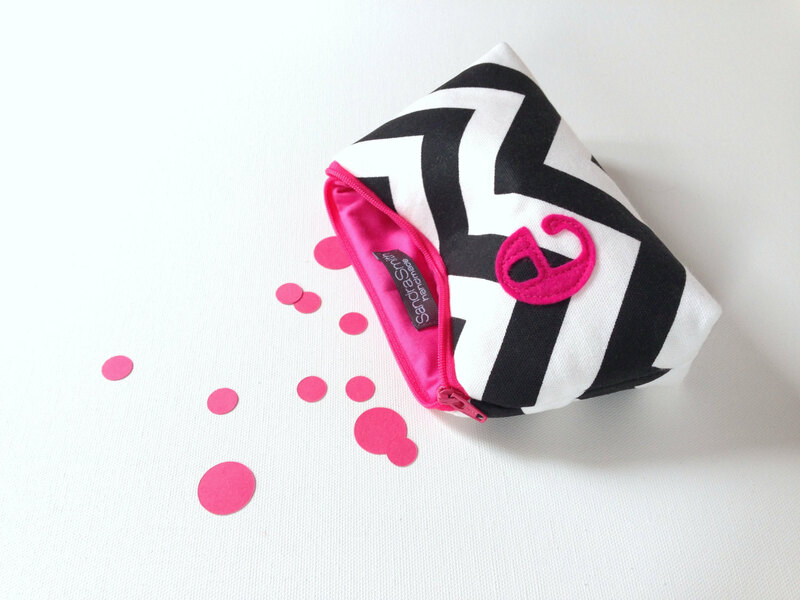 For this feature, we’ve selected hot pink and black as our color palette along with eighteen handpicked ideas to get your creativity flowing. Let’s begin with the invitation. 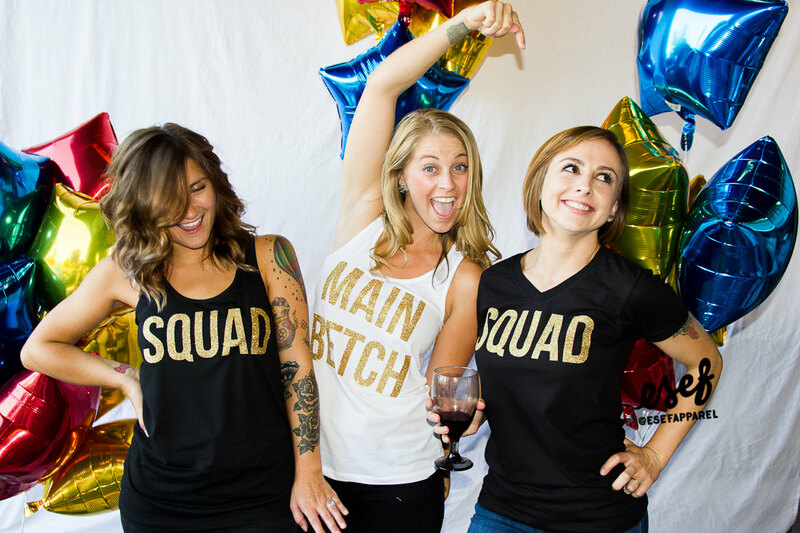 These are fun & totally unique tanks everyone will love to wear! 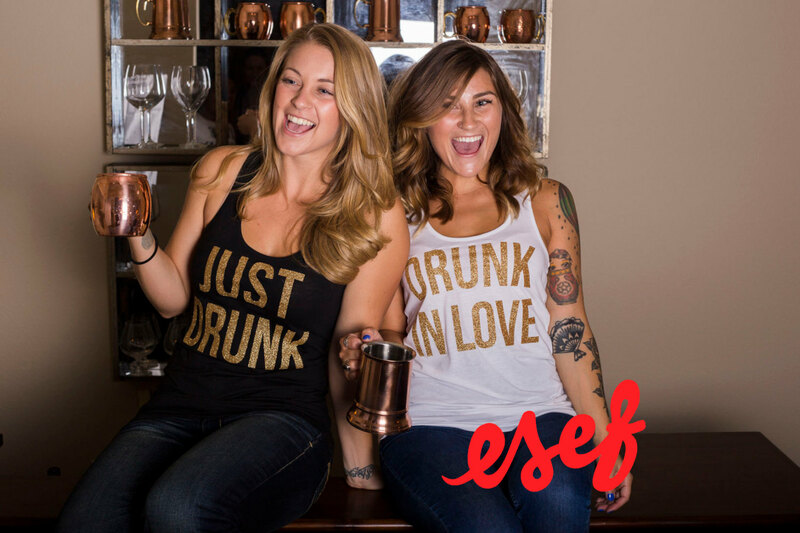 By ESEF Apparel. Fun, fun, fun! Get ’em here. 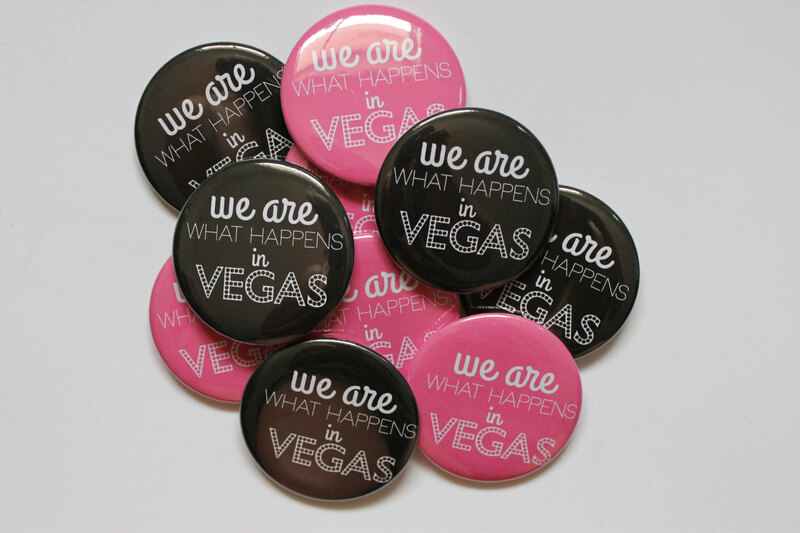 These are perfect for a Vegas-filled weekend bash! By Big Yellow Dog Designs. So sparkly. By The Crafty Engineer. Identify who’s who in your crew. 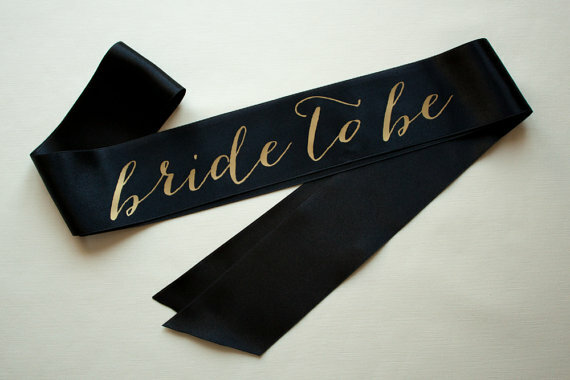 By Le Petit Mariage. 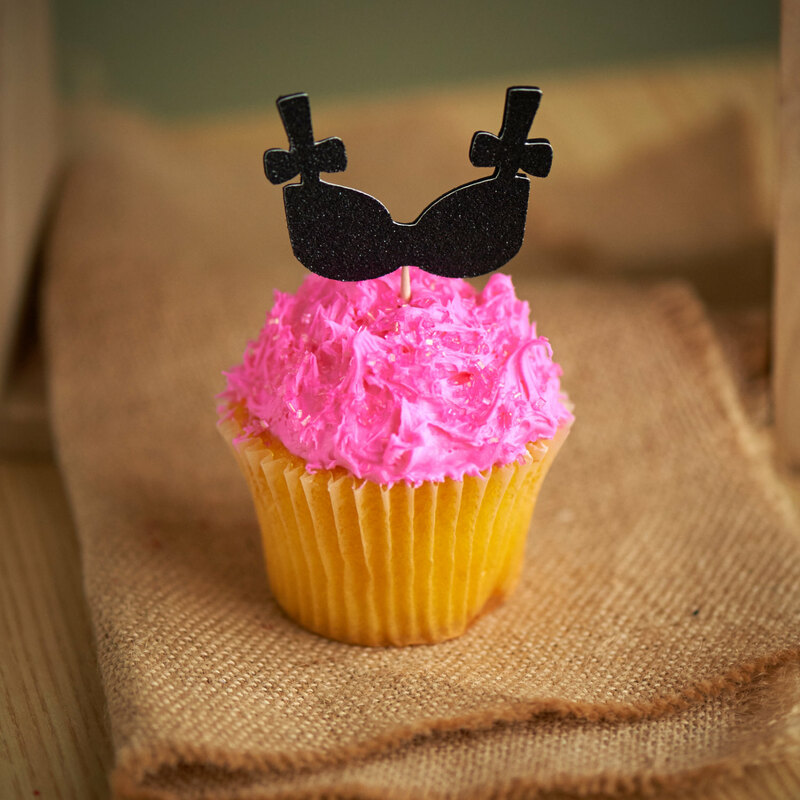 Love the black topper on hot pink frosting! 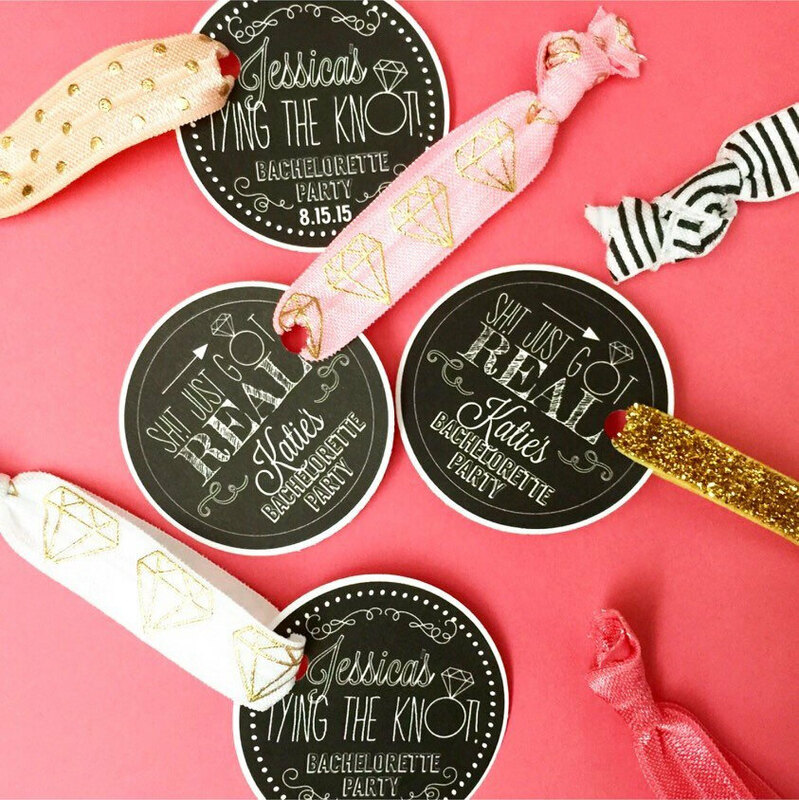 By Confetti Momma Party. A must! By Waterfall Designs. Or these for the whole crew! 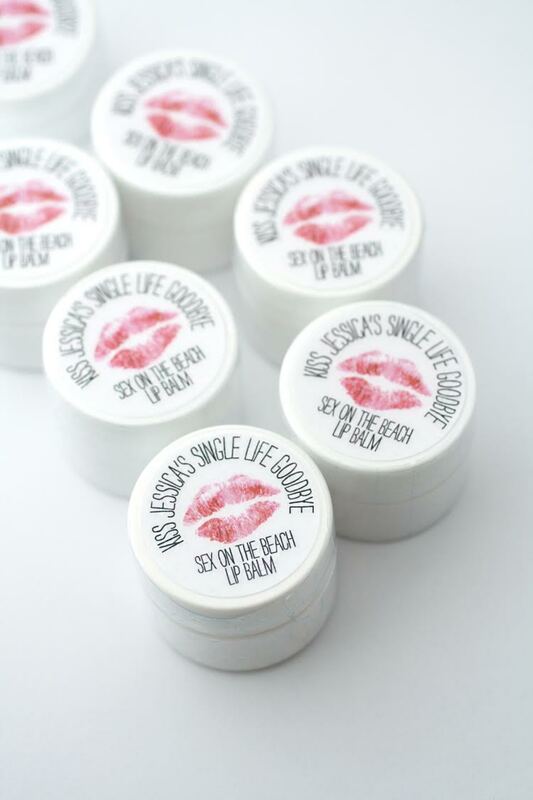 To “kiss the bride’s single life away“! By The Favor Stylist. 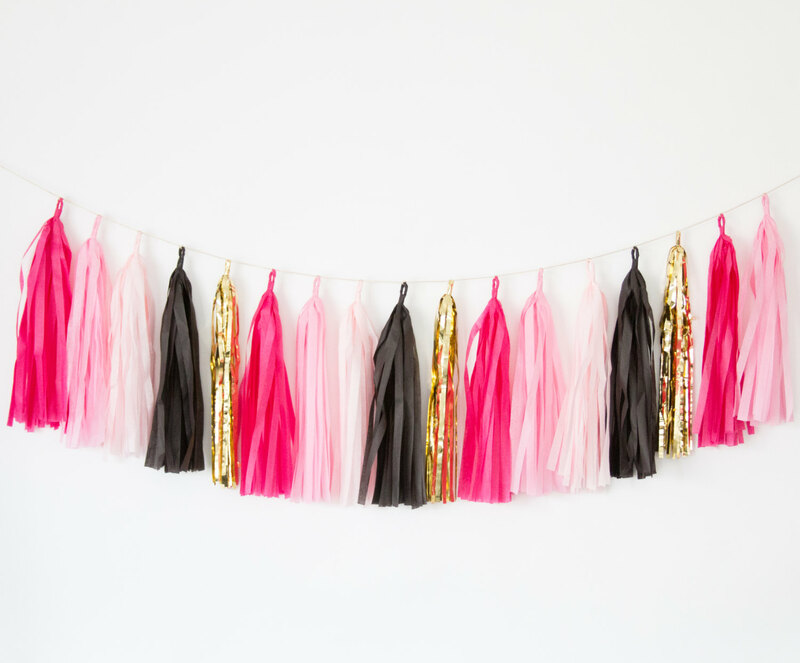 Every bach bash needs a cute photo prop for all those selfies. This one is by Liddabits. 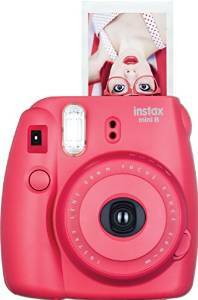 Make sure you have one of these (it’s surprisingly cheap!) so your selfies come out perfect. 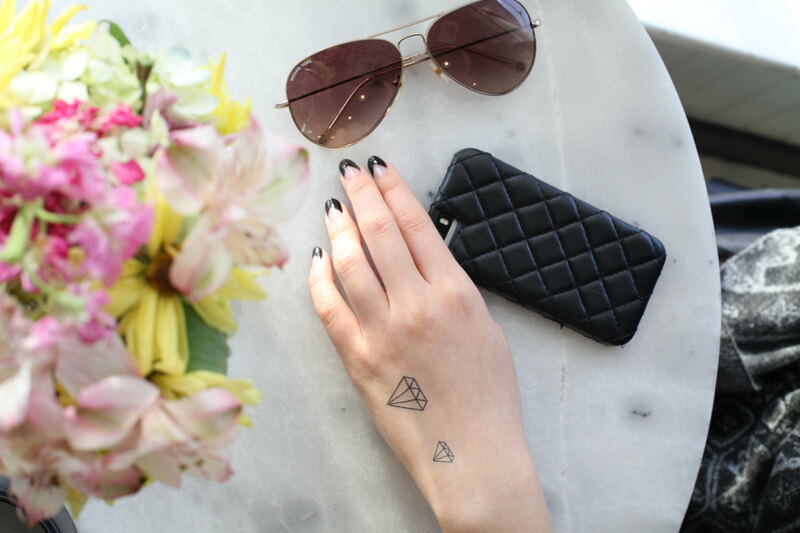 Get a great snapshot with those photo props or when you’re out and about… without having to upload them online. 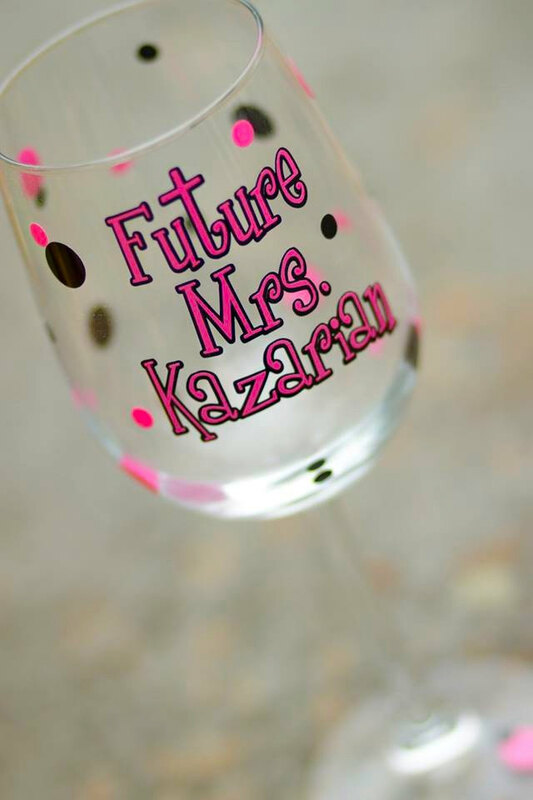 Guests will love to have instant keepsakes! By Fujifilm. 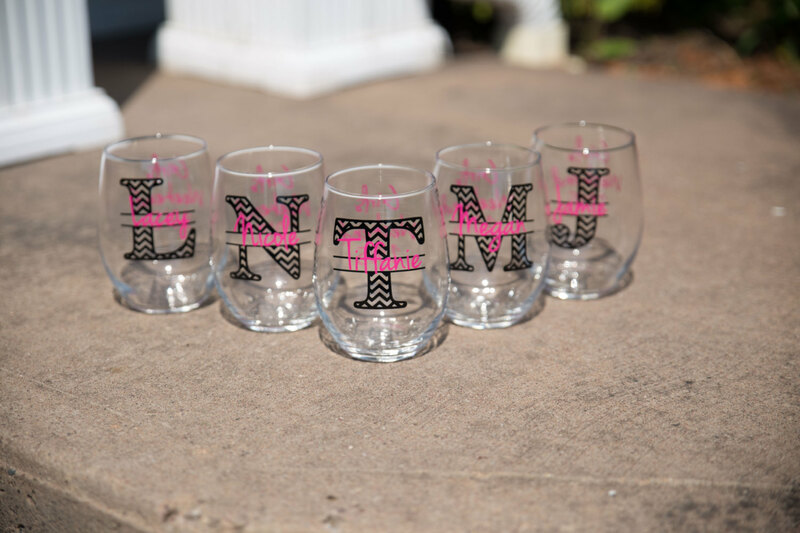 As a centerpiece for your hotel room / bach bash party space. 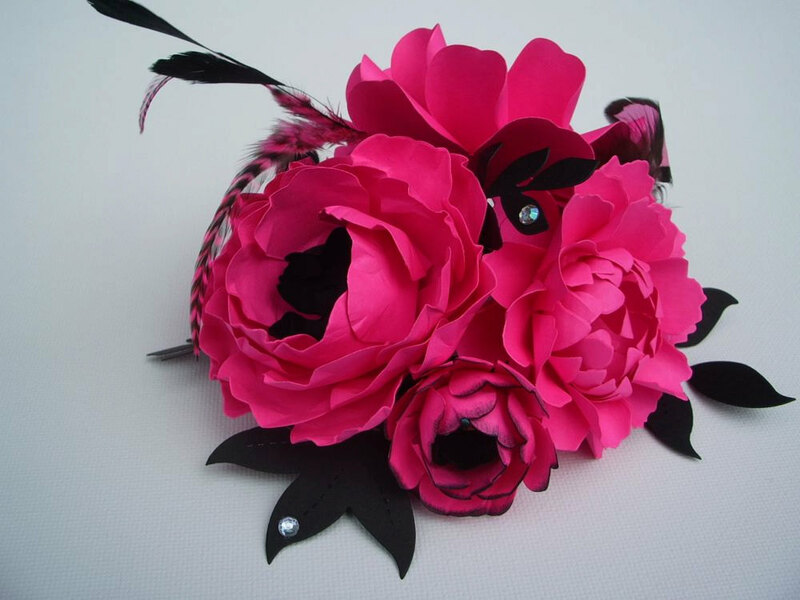 By Paper and Peony. They’re a cute gift for bach guests. 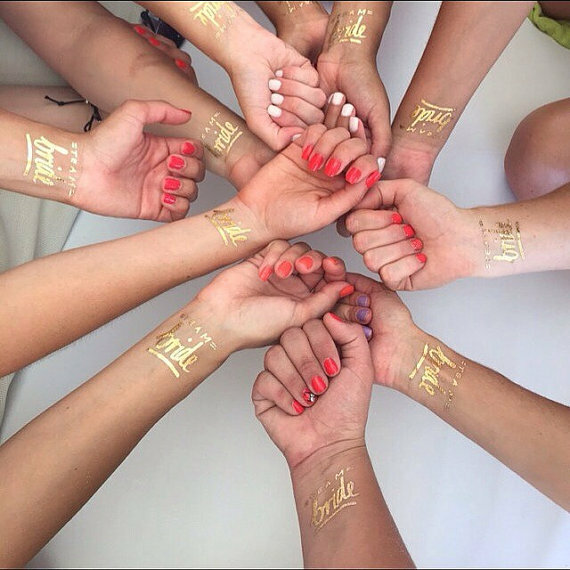 They’re personalized, too! By Sandra Smith Handmade. Everyone could use a handful of ’em. By Flhair Accessories. 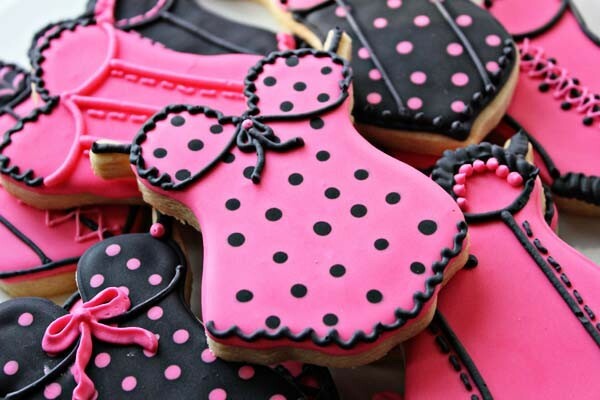 And yummy cookies. 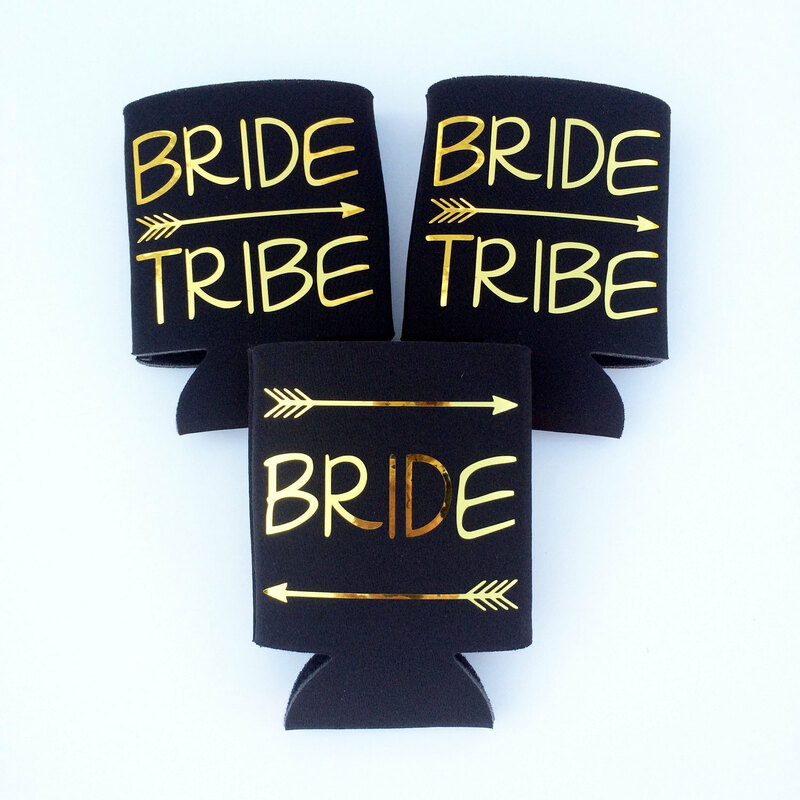 Because every party could use ’em! 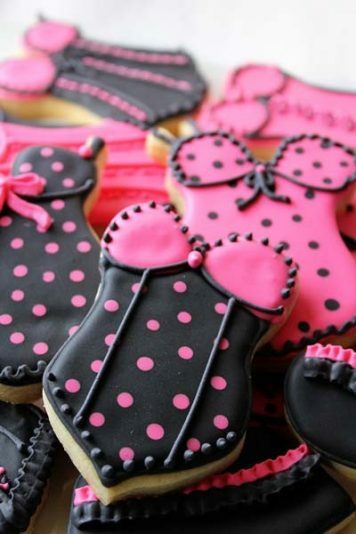 By Crafted Cookies. For watching when you get back from partying (and reciting lines by heart) featuring my favorite actress and comedienne of all time, Kristin Wiig. She’s the best. You can get a copy here. You might just need it. I love that bag: “I regret nothing“. Haha. By Be Collective. 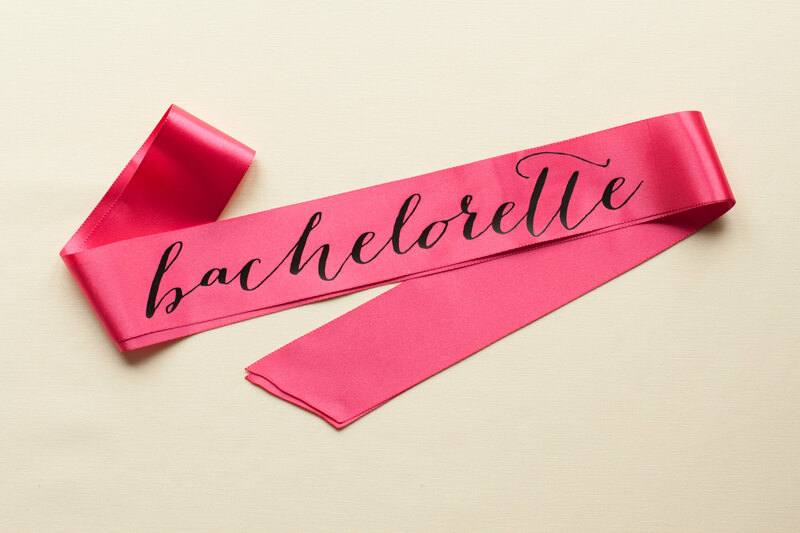 What do you think of these fun bachelorette party ideas? Comment below! Where did you get those pink rose bottles in the hangover kit picture? I need those shirts! 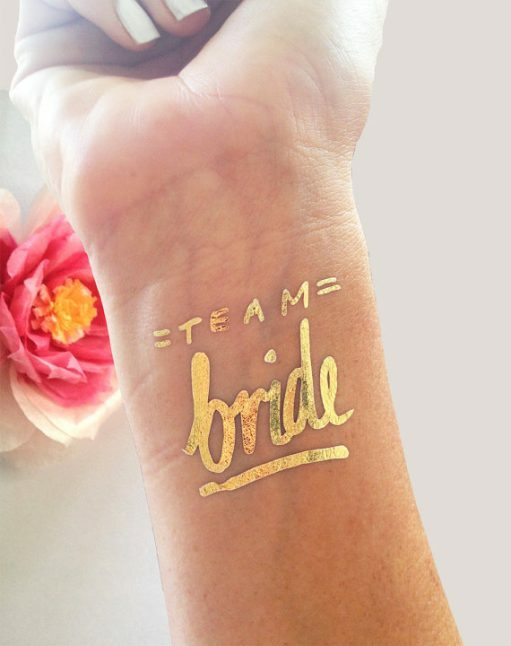 Sending this to my sister for ideas (my maid of honor). Thanks so much Emmaline!! Glad you liked them, Julie! 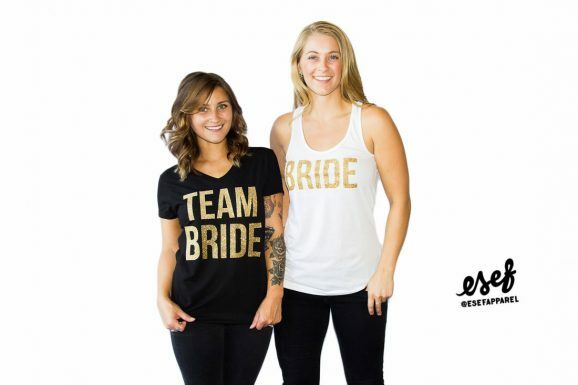 It’s great to see a variety of new bachelorette party tanks and tees… I’m digging the fun styles. Thanks for your comment.